THERE was great excitement for 22 youngsters from 1st Knaphill Beavers who were given a bird’s eye view of progress on the three new towers in Woking town centre. Left to right: Nick Daniell from Sir Robert McAlpine, Miranda Soane Beaver Scout Leader and five Beavers with site mascot Ivor Goodsite and, Jenna, one of three young leaders helping on the visit. 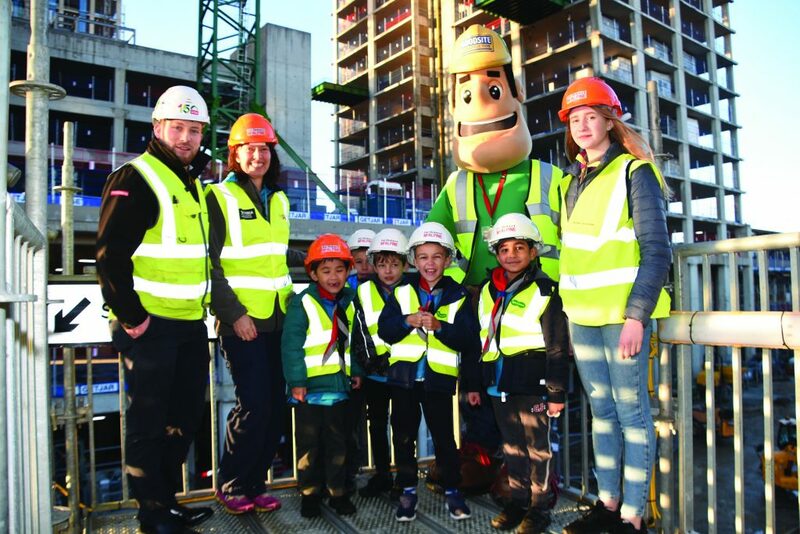 The children, aged six and seven, learnt about construction site safety and had a go at constructing towers themselves before going on-site to see the cranes in action escorted by site engineers and mascot Ivor Goodsite.